Our team has worked tirelessly behind the scenes to build the best tools to improve the lives of Democratic fundraisers and compliance professionals. Today, we're excited to announce the culmination of several years' work: the release of NGP 8 - the new gold standard in political fundraising and compliance. I sat down with NGP VAN's political fundraising & compliance mastermind, Lou Levine, to discuss why we built NGP 8 and how it will improve the lives of thousands of Democratic fundraisers and compliance pros. What problems does NGP 8 solve for fundraising and compliance professionals? Lou: Specifically for fundraisers, we’ve done a ton of work around improving major donor management and re-imagining the call time experience. 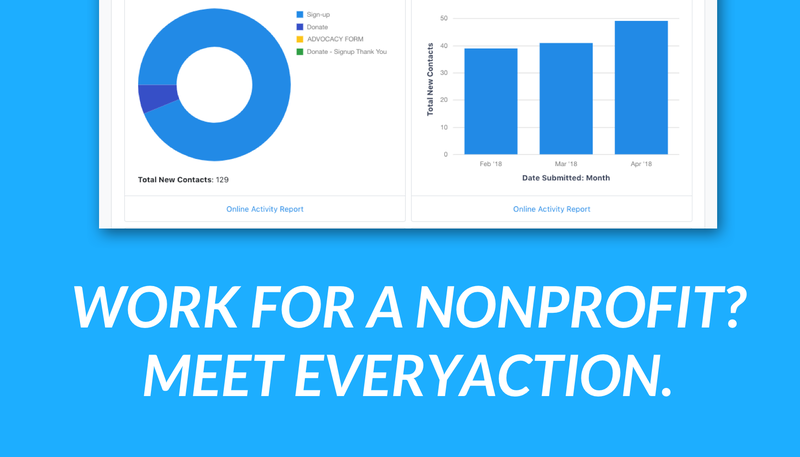 We’ve really tried to take the best of our previous NGP iterations, update them and make them more flexible so that fundraisers can do call time their own way, ultimately saving them crucial staff time. For compliance folks, I’m pretty excited about some of the work we’ve done to make working with credit cards easier. We’ve got some really cool things like auto-batching of credit cards and integrated settlement status. Going back over a decade (and also not too long ago), we’ve had to build tools and systems specifically to handle credit card settlements, and now that is integrated. What new feature or improvement are you most excited about in this product? Lou: The thing I am most excited about is our new and improved call time experience. And that actually consists of a few major parts: paperless call time, donor ask plans, and custom call sheets. Paperless call time has been something that has been one of the most requested features we’ve gotten over the years. This allows users to set up a call time session, click through as you call, and enter the results right there. Data goes directly into the system, and the campaign spends less time shifting data back and forth. Donor Ask Plans are something we built to help fundraisers manage a prospective donor's lifecycle, from ask to pledge to commit. Once a user sets these up they can then easily be pulled into a call time session. And finally, custom call sheets. As much as we would all love for paper call sheets to be a thing of the past, call sheets remain an integral part of the fundraising process for many committees. But before, you had to look through a library of call sheets, and if there was something that you didn’t like, you needed to contact support and submit a request for each change. Now, a finance director can use custom call sheet builder to either take one of our existing templates, make a copy of them and tweak them as much as they would like, or they can start with a blank slate and build their dream call sheet. NGP 8 is much prettier than the classic version of NGP. Can you talk a little more about the user interface and experience? Lou: We’ve invested a ton of time and resources into improving our overall user experience. A few years ago, we created a user experience team of product researchers, designers, and front-end engineers to really focus on building out a beautiful, functional, and friendly user interface. In addition to it just looking better, NGP 8 is responsive on mobile devices. 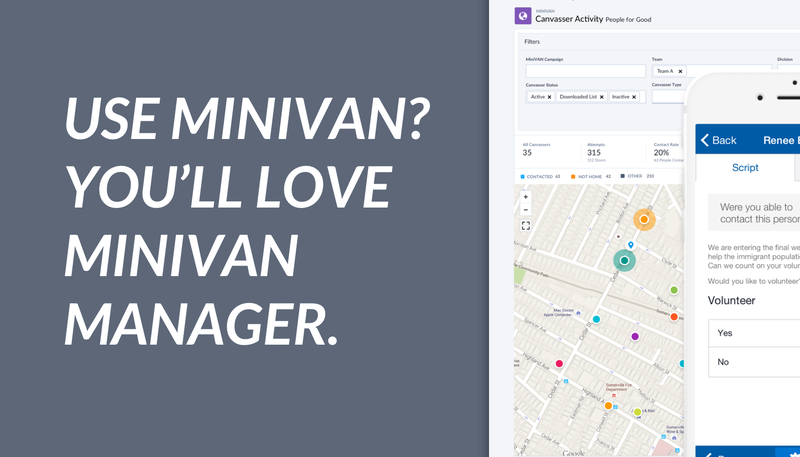 Also, I can’t overstate what a big deal it is that all of our products - VAN, Digital 8, and NGP 8 - now share common user interface elements and workflows. In the past, a campaign would need to learn to use an organizing tool, a digital tool, a fundraising tool and a compliance tool. Now, all of those tools can share the same workflows, and look and feel the same. It's a game-changer. Anything else you'd like to mention about the product? Lou: A couple things. 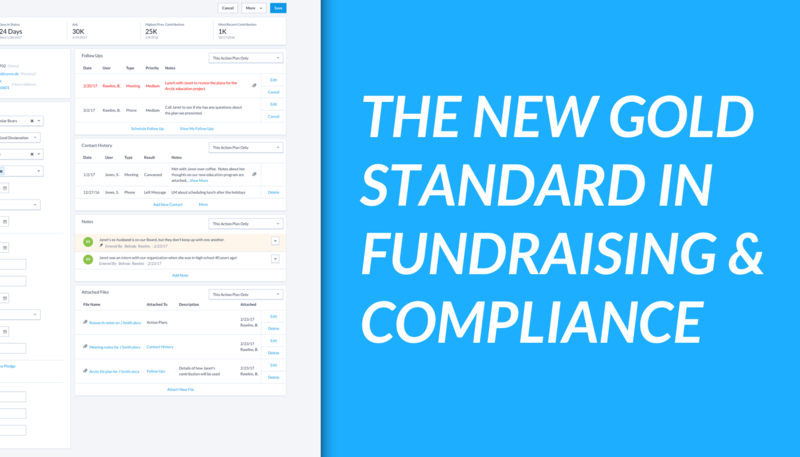 Number one, with this product, I think we've done a great job of balancing the modernization of the experience and new features with the classic workflows that fundraisers and compliance professionals know and appreciate. That's crucial, because we don't want to force everyone to spend hours learning a complicated, new system - NGP 8 is familiar, intuitive, and easy to learn. Secondly, there are a lot of other new features that we're excited folks can take advantage of. We've built out a strong integration with Facebook Ads and Facebook Events, and we've built an optional add-on for tracking telemarketing and direct mail campaigns. At the end of the day, we're confident NGP 8 will be faster, easier to use, and a more enjoyable experience for all of our clients, and it's something I'm so excited about and proud of.